You want to change the plan? 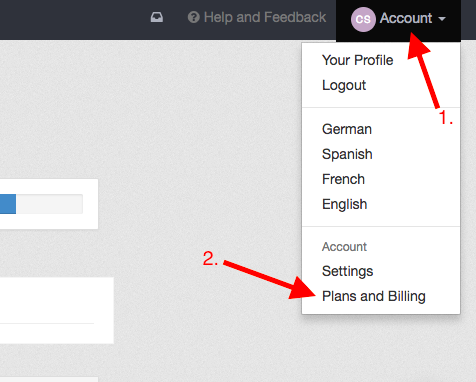 Go to "account", "plans and billing" and click on "plans". Now you will be shown all plans and you can chose the one that fits your needs. Simply click on the desired plan and you will be directed to your billing details. Check, if the information is up to date and chose your payment method. Payments that have already been made will be shown on the new invoice. You can change the plan whenever you need to, regardless of the period of performance.